Empire biscuits are a great low FODMAP biscuit option because their structure is comprised of shortbread (which is really easy to make gluten-free and remains tasty) and the toppings are FODMAP friendly too, so you can’t go wrong with them really. Also, if a single halved glacé cherry would cause you issues then you could use the desiccated coconut option to decorate them instead. I added a teaspoon of lemon extract to my biscuit dough because I think that the sharp, zingy lemon oil provides a delicious contrast with the sweet taste of the strawberry jam, but it’s entirely optional and if you choose to leave it out of your empire biscuits they won’t suffer in the taste department at all. 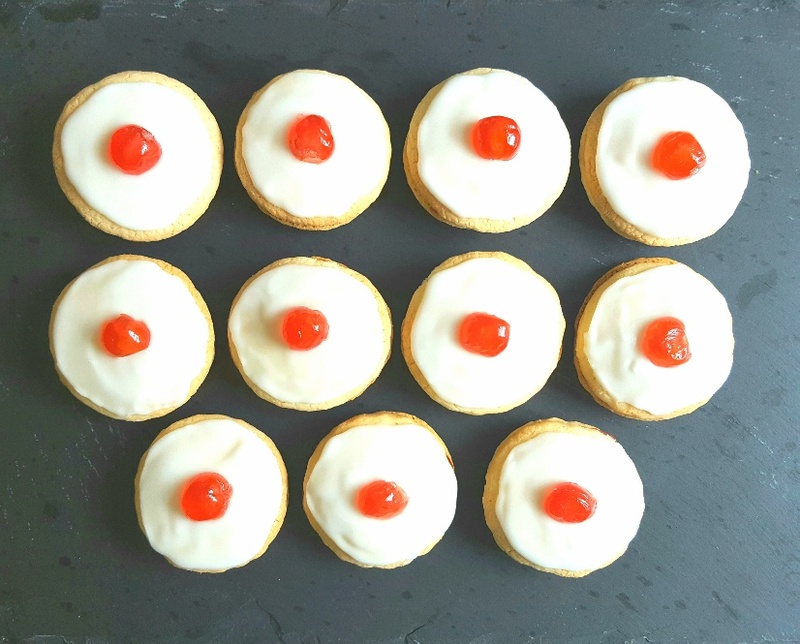 These low FODMAP empire biscuits are very easy to make and don’t require much time at all to produce, but they’re very rewarding in taste due to their crisp, sweet, buttery shortbread rounds that are generously sandwiched between good quality strawberry jam and topped with soft, sweet icing sugar. It’s no wonder they’re so popular throughout the country! Line two baking trays with greaseproof paper and have a rolling pin and a round biscuit cutter at hand. Place all of the biscuit ingredients (except the water) in a mixing bowl and rub the ingredients together until it has the texture of fine sand. Add the water and form a smooth dough. Roll the biscuit dough out on a clean work surface and cut out an even number of biscuits. Place the biscuits on a greaseproofed baking tray and bake them in the oven for 12-15 mins or until they are golden brown. Put your icing sugar in a small bowl and add a little water at a time to make a thick icing for decorating your biscuits. 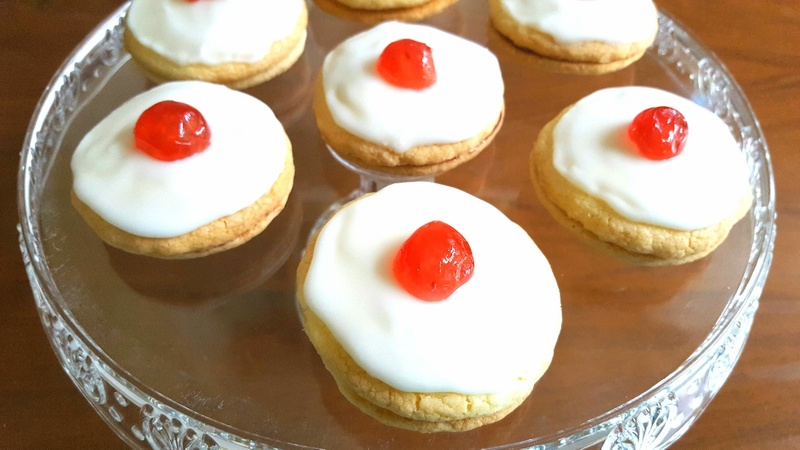 Once the biscuits are cool, spread strawberry jam onto half of the biscuits and coat the other half of the biscuits in icing sugar and top them with either a glacé cherry or a sprinkling of desiccated coconut. Once the icing has set, sandwich the biscuits together and serve.